On January 26th, 2019 we lost our father, friend, grandfather, great grandfather, favorite singer and hero after a long battle with cancer. Charles Wesley Clarno was born in Madera, California on August 29, 1943 to Ardelia and William Clarno. In 1956 the family moved to Nevada, purchasing land and working the Bottle Creek Ranch. Charlie helped on the ranch with his Dad, Mom and older brothers Roy and Herb. He attended high school in Winnemucca, graduating from Humboldt High School in 1962. Charlie enlisted in the Navy in 1963, serving as a Fireman aboard the U.S.S. Princeton during the Vietnam conflict. He was Honorably Discharged in 1969, having achieved the rank of Petty Officer. In 1966 he married Diana Forest Beresford, bringing her three sons into his family and very soon adding a fourth, and eventually a fifth son. After leaving the Navy, Charlie returned to Northern Nevada with his family where he resumed ranching and farming with his brothers. He also worked in the Winnemucca area as an electrician, a mechanic, and a miner. Charlie and Diana divorced in 1975. He then found love again with Bette Hatch, marrying her in 1978 and adding her family to his own. While the marriage lasted only a year on paper, Bette and Charlie found they were true soulmates and loved deeply until the very end. The love they shared, the fun they had, and the memories they made with each other was truly special. 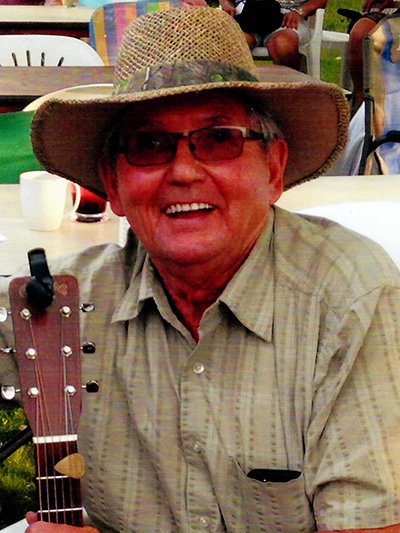 Throughout his life, Charlie had a deep love of music which he shared with his family and everyone in the Winnemucca area. He was a very talented singer and played guitar from a young age. “The Westernairs” with Clay Tarter, Jerry Kelly and Freddie Heins. Terry “TC” Spero joined them for a time as well as many others. In 1970 Charlie met his best friend Gib Ross, who joined as the bands bass player. You could find them playing every weekend at the Gem Bar and dances all over the area. In 1972, Charlie and Gib traveled to Idaho to record the record “Charlie Clarno Sings”. Charlie then went on to Nashville in 1975 where he recorded music for a stint as well. Gib and Charlie reconnected in 2010, and Charlie’s Man Cave, affectionately known as “Clarnogie Hall” came alive. Many nights were spent “jamming” and sharing their love and talent with those closest to them. This is when Charlie was at his happiest and how we will always remember him. Charlie is survived by his three children, Troy Beresford, Bill Clarno (Tina) and Chad Clarno. Brothers Roy Clarno (Jeannie) and Herb Clarno (Lila) along with Dianna Byers, Max Hatch, Dana Torgerson (Steve), Mike Hatch and Debbie Finnell (Dave Elizondo). His grandchildren, Derek Beresford, Robert Beresford, Tessa Labarr, Shaun Dominguez, Reiley Byers, Amanda Hatch, Andrew Hatch, Lindsay Peterson, Corey Torgerson, Dustin Hatch, Hannah Cline and 15 great-grandchildren. He is also survived by several nieces and nephews. He was preceded in death by his sweetheart and love Bette Hatch-Clarno, mother Ardelia Lucey (Archie), father William Clarno, sons Kerry Beresford and Bobby Clarno and granddaughter Alexis Finnell. Services will be held at the Sonoma Funeral Home on Saturday, February 9, 2019 at 11:00 am. Followed by a graveside ceremony at the Winnemucca Cemetery at 12:00 pm and a celebration of life at the Bakarra Basque Bistro from 1:00 pm to 4:00 pm. In lieu of flowers, hold the one you love and raise a glass in Charlie and Bette’s memory.